Hoylake is famed for its golf - not that it’s any concern of ours. My uncle did try to teach me and my brother to play golf, but failed through our lack of ability and apathy. Although, if I recollect correctly, we did have a moment in the 80s watching late night golf on BBC2 – kids these days don’t know the meaning of boredom like we had in the 70s and 80s. Anyway Hoylake is a couple of miles down the road from West Kirby, which was rather handy for our purposes. We arrived about 3.30pm and parked on the main road where there is free parking. The town was very quiet, almost ghost town like apart from the Monte Carlo restaurant. The restaurant has a pavement terrace which is very reminiscent of Parisian cafes and people sat there were looking rather glam. If we'd come a few hours earlier I reckon the village would have been busier. The village itself is very well-to-do and was covered in homemade bunting. The shops are located on the main road and it can be a bit of a hike to get from one end to the other. There was a good mix of shops including a specialist baking supplier, an antiques shop and a ladies' designer agency called ‘The Way We Wear’. The Quirky Little Café was still doing good business with customers enjoying a coffee in the afternoon sun, sat on the pavement tables and chairs. Even the benches in the village are swish with metal ends made to look like thick marine rope. The charity shops are classy too. Although you do have to make it to the town before 4pm, otherwise you find some of them have already closed. 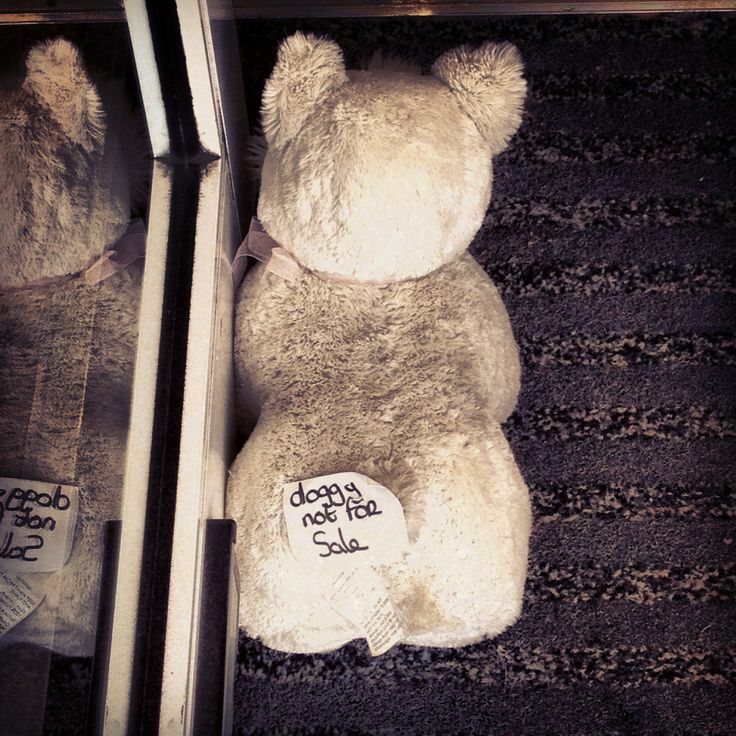 In one charity shop they had a cute white dog door stop with a sign ‘doggy not for sale’ stuck on its bum. Hoylake is definitely a stop for the more discerning charity shop explorer. What I did find with Hoylake, unlike Heswall and West Kirby, was a fine strand of eccentricity. 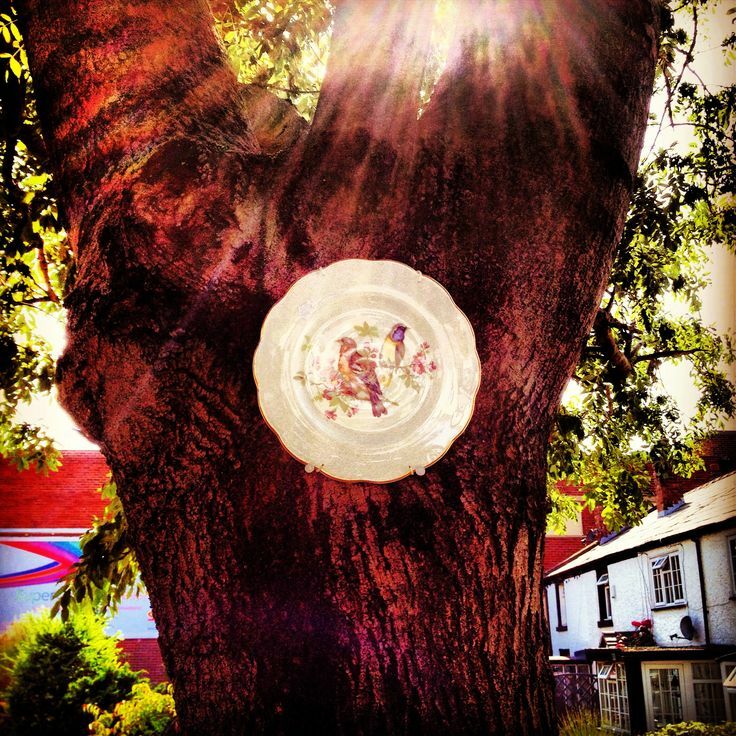 Whilst walking down the road we found a plate with a picture of birds attached to the tree. 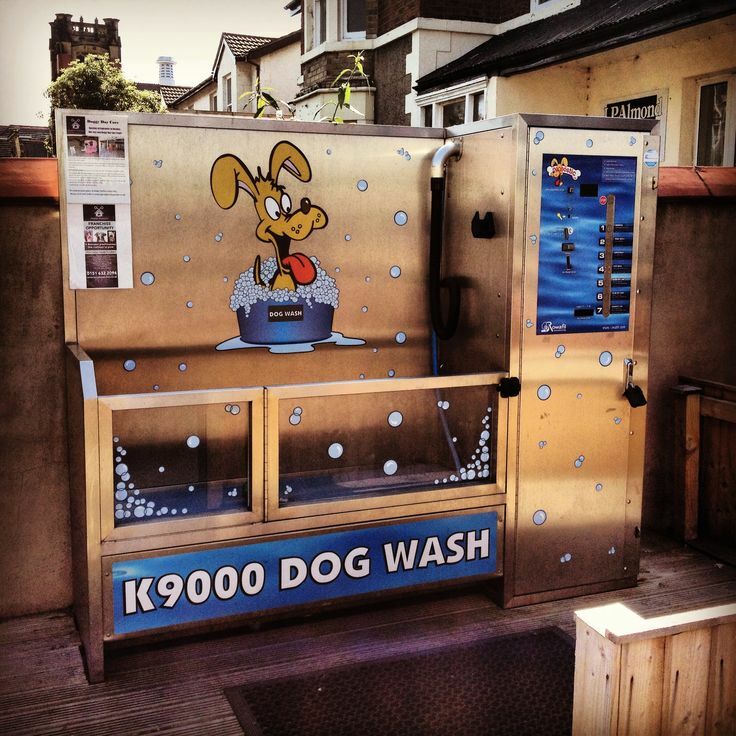 Also Trendy Pooches bizarrely had what appeared to be a self-service dog washing machine called the 'K9000 Dog Wash'. Brilliant idea – you can wash the dog without messing up your bathroom. There was a new housing development being built in the village and I liked the fact the developer had allowed the locals to display local art on the hoardings to promote the local arts festival. I couldn’t help but think there was a distinct community spirit here. Not only with the arts festival, but also there was a community shop in the town promoting local activities. After our visit I Googled it and was amazed to find the excellent Hoylake village website and the community development intentions behind it. You need people to take action to keep towns and villages thriving in this economic climate - Hoylake has these kinds of people. The beach is about a five minute walk from the village centre. It was certainly more quiet than West Kirby. There were some people on horseback trotting down the promenade. The tide was so far out you could not see the sea, only the wind farm on the horizon harvesting the sea breeze. We did try to walk along the beach, but we managed to find the part of the beach with really stodgy sand that was hard to walk on. I’m still finding bits of sand in my car. Hoylake’s promenade and beach is definitely one for those who want some quiet contemplation by the sea. I was honestly charmed by Hoylake – not by the well-to-do nature of the place, but by its community spirit and slight eccentricity. I can understand why people want to live here. It’s definitely worth a visit, but make sure you get here a bit earlier than we did.